Machine wash in cold water only. 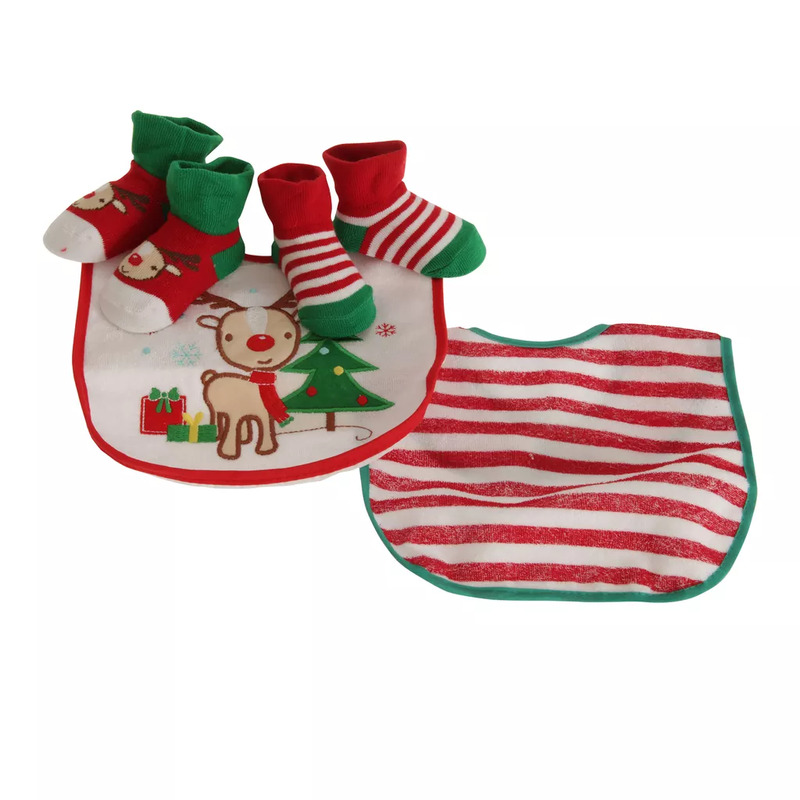 Babys Christmas gift set with cute Rudolph The Reindeer designs. Includes 2 touch fastening bibs and 2 pairs of socks. Socks: 75% Cotton 25% Spandex, Front of bib: 60% Cotton 40% Polyester, Back of bib: 100% PEVA.